When teeth are removed, the bone and soft tissues that once supported the teeth begin to change almost immediately. This change progresses the rest of your life. When a partial denture or a full denture is necessary to replace the missing teeth, there may be bony or soft tissue irregularities that compromise the fit of the dental prosthesis. Patients who have worn dentures for many years may have excess soft tissue that has grown around the denture over the years, especially in a poor fitting denture. 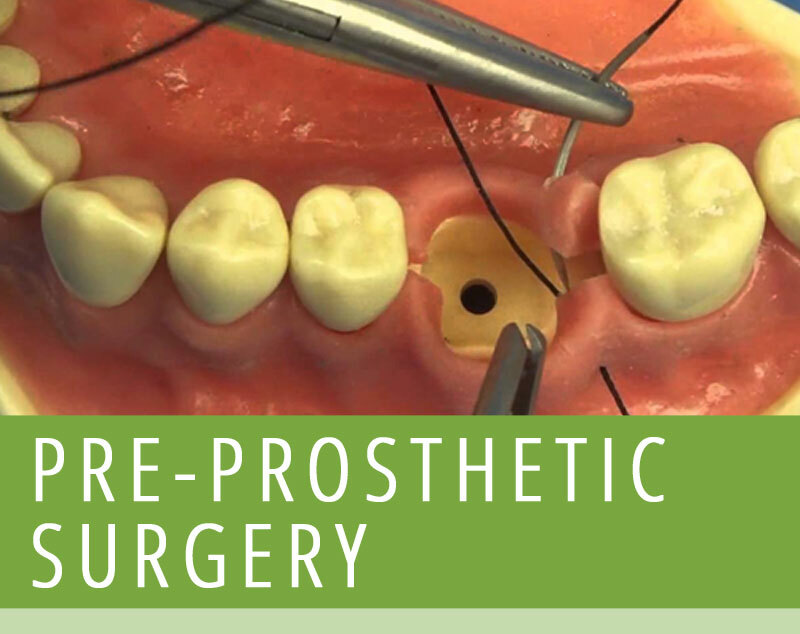 Pre Prosthetic surgery removes these excess bone growths and/or soft tissue to improve the health of the oral tissues and ensure the best fit possible.